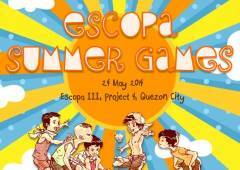 Before we bid farewell to the summer season, Gawad Kalinga will be having the Escopa Summer Games! 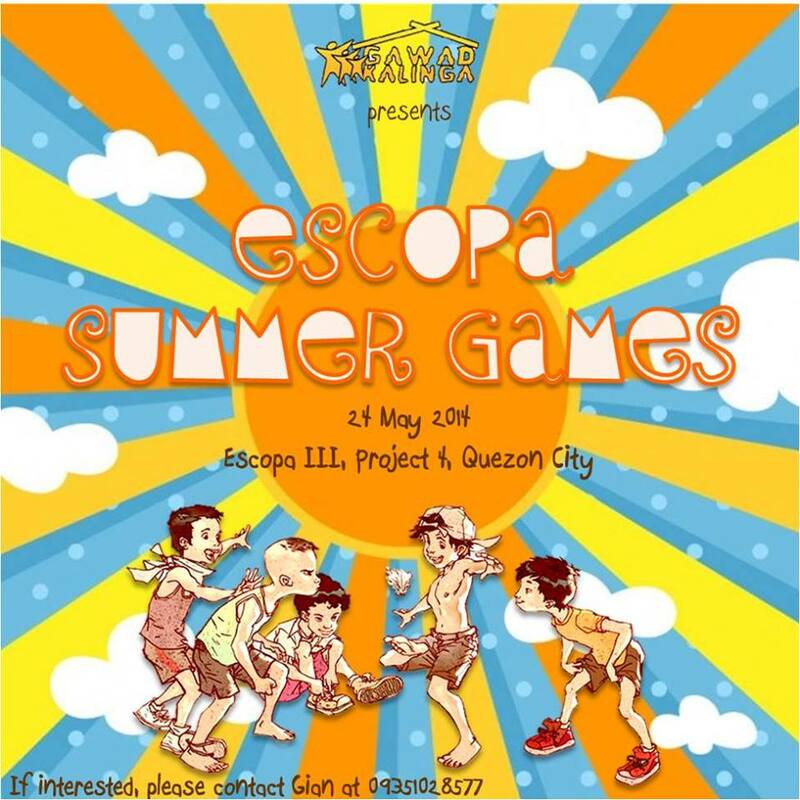 In this event, the youth from GK Escopa will be grouped to 4 color teams with each of their teammates face-painted with their very own team symbol. The teams will then battle it out through a series of exciting games that will surely hype you up! The games include the classic sack race, harina and yakee relay, ultimate dodgeball, water balloon pass, flip cups, pass the message and a customized “school relay”. Prizes await everyone whether victorious or not. To also hype them up in the upcoming start of classes, the youth will be given various school goodies plus basic tips in saving to maximize their valuable allowance. Altogether, the event will certainly be a capper to this year’s summer. Go down at Mini-stop Katipunan near Aurora boulevard. Cross Aurora boulevard and go to the side of PSBA. Walk down Aurora Boulevard going towards the direction of Cubao, then take the first right. Take a tricycle or walk and go to Barangay Escopa 3 covered court across multi-purpose buildings. From Farmer's market at Cubao, take LRT going to Katipunan Station. Go down at Katipunan station, side of Philippine School of Business Administration. Walk down Aurora Blvd going towards the direction of Cubao, then take the first right. Take a tricycle and go to Barangay Escopa 3 covered court across multi-purpose buildings. *FOR PRIVATE VEHICLES, SECURED FREE PARKING SLOTS ARE RESERVED RIGHT IN FRONT OF THE COVERED COURT AND MULTI-PURPOSE BUILDINGS.